Over the years, we’ve worked hard to expand our business by not only offering high quality fuels at low prices, but also by ensuring our values of high levels of customer service are mainted and adhered to. We wouldn’t be where we are today without our loyal customers staying with us over the years as we’ve grown and expanded. 1. Personal Service – We don’t believe in call centres. Our staff know their customers by their first names. They know how much they order and when. This means ours customers have their very own fuel management system sat in our office. 2. Friendly drivers – Our drivers have been hands selected for the knowledge and personality. Each driver has their own tanker and specialises in a given field. Each driver has extensive knowledge of the north west leading to fast efficient service. Our drivers build up relationships with their customers meaning that they can adapt delivery times and styles to meet each customers needs. 3. Family business – Ingoe was built from the ground up. This means that it has kept its personal family feel. Our customers are treated as individuals and not just a number. 4. Reliable – Unlike most oil companies when we say we will deliver on a set date we will. Ingoe Oils offers same day and next day delivery options. Our drivers have on board tracking systems so we know where they are and when they will deliver to you. 5. Tankers for all size jobs – We have a range of vehicles from small custom built tanks to 20,000 litre tankers. No job is two big or small. 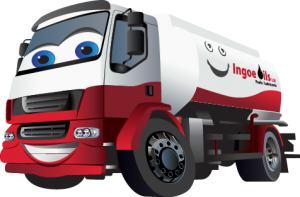 As Ingoe Oils grows so does its fleet, Tankers are all custom built and brand new meaning we stay one step ahead of our competitors. 6. Experience and knowledge – All our staff pride themselves on delivering the best service in the industry. Our staff have decades of experience and share knowledge with one and other regularly. This leads to a motivated, educated and determined workforce whose skills and knowledge is ever expanding. 7. Growing and loyal – Ingoe Oils has grown year on year and isn’t slowing down! This means that when we gain customers no only do they get the best service but their loyalty is rewarded with ours. We often go the extra mile to keep businesses running all year round. As we expand so does our reach meaning more customers will soon be able to experience our unrivaled service. 8. Around the clock deliveries – If you run out and need fuel urgently then we can offer an emergency drop. This is to keep you ticking over until we can deliver bulk to you. Another option is to buy some reserve fuel in drums and barrels. FuelPax can deliver packed fuel nation wide straight to your workplace next day. 9. Payment methods – Ingoe Oils offers a range of payment methods to suit your needs. Regular customers loyalty is rewarded with flexible payment options. 10. After care – The service doesn’t stop after the delivery takes place. We will follow up delivery orders to find out if everything went perfect and how our service to you can be improved. We have strong connections and can offer other products legislation dictates you need such as spill kits.